Google had released the Android Device Manager quite some time back, using which you could track your Android smartphone on the web, now they have launched an Android app for the same. 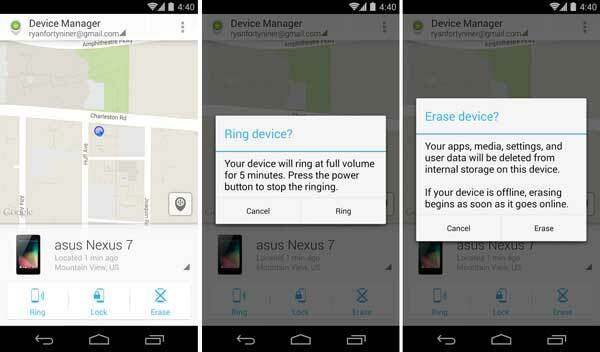 Google has released the Android Device Manager app onto the Google Play store. The app available on all Android smartphones running version 2.3 and above has the same functions as the Android Device Manager website. The app, though was long expected and took surprisingly long to launch, has the exact same features as seen on the Android Device Manager site. The Android Device Manager app can be used to locate your device registered to your Android account. The app pin points the location on a map. The app can also be used to ring your device for 5 minutes at full volume if you can’t find it. In case of misplacing the device, the app can be used to lock the device and change the associated PIN. You can even erase all the data remotely. You can download the Android Device Manager app from the Google Play store.